Book Review: "If You're Happy and You Know It"
Read or sing along with your little one’s favorite song! 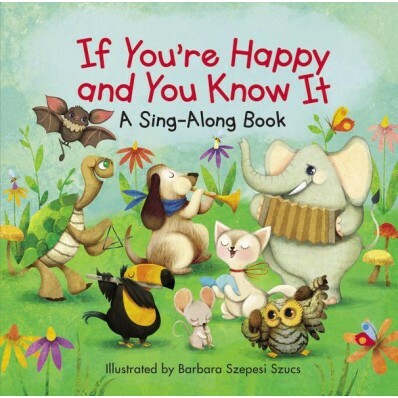 If You’re Happy and You Know It pairs adorable illustrations with the lyrics of the familiar children’s song. This newest board book in the beloved Sing-Along series also features a padded cover perfect for little hands and is sure to delight children and parents alike. Thank you, Zondervan for sending me this book as a part of the Z Blog Squad. I was not paid for this review and all opinions expressed are my own. I have to be very honest I had some high expectations for this book as I really thought it would be more than the original song. I thought this book would have some Jesus in it like "If your joyful and you know it shout AMEN." Or "if you know Jesus forgives you high five a friend." I know those are some high expectations and there is nothing wrong with the original words of the song. In fact, they are fun and lift many moods. I guess I was hoping for a Christian theme to run through it as well. This board book is still sure to delight any child who is eager to clap and shout and sing along!